to the capacity crunch. But ELDs were the main culprit. It was like the industry’s lucky numbers fell one by one from the hopper for the “Leverage Lottery.” For the first time, customers en masse were practically begging carriers to move shipments before asking for a price. It was great seeing truckers take advantage of this windfall. Small, transactional carriers not bound by customer contracts really cashed in as spot rates doubled or even tripled. The only thing limiting their success was the ability (or lack of ability) to fill driver seats. 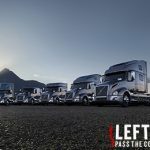 The capacity crunch also gave Canadian domestic carriers a chance to observe as they prepare for an ELD mandate in 2020. 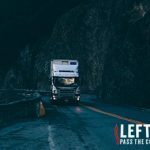 Leverage is a powerful tool, and truckers could walk from any deal because there were better deals from which to choose. But even lottery winners go belly up. Here’s how to make the most of your leverage while you have it. “having to move shipments” for half the price of what was being offered on the open market. Contracts may have stung in the short term, but those committed customers have long-term value. Now is not the time to gouge them. But you can use your leverage to negotiate better terms. In particular, I would focus on two things: strength of commitment, and annual rate increases. Almost every contract I’ve seen allows shippers to walk away with little or no penalty. That is nuts. Your customers have more of a commitment to a lease on a $10,000 copier than the $4 million in equipment you provide. Contracts must lock them in: a three-year deal is a three-year deal – or pay up! It’s also time to consider ending the lifetime rate shippers enjoy year after year. Something is seriously wrong if you can’t get a 3% annual cost of living increase from a customer. Few things irk me more than the godawful fuel surcharge. Franky, I believe that high fuel surcharges have helped brand our industry as weak and unsophisticated. It’s time to put this system out to pasture. When quoting a customer, I suggest you blend the current price of fuel into your rates. Creating a new ground-zero will permanently increase the base rates while keeping surcharges at a more manageable level. If fuel prices go down, you win. If they go up, you have a provision in your contract to cover the shortfall. Think of all the freebies we’ve given to customers over the years. My all time favourite is what the industry has coined “spotting a trailer”. Let’s call it what it is: free mobile ware-housing. We could be the only industry that gives customers $70,000 assets to use at their convenience. When I owned MSM Transportation, these “revenue leaks” bugged me so much that one year I went on a bender and plugged all the giveaways I could find. When the dust settled we were collecting every charge we were owed by customers. This added close to $700,000 to our bottom line. It was like picking up $7 million in revenue without having to find nary a driver. With all this leverage, my focus would be on growing the size of my bottom line and not the size of my fleet. But if you can get drivers it would be a mistake not to look at opportunities to grow with best-in-class customers – the ones who actually get it. What about the bad customers? You know the ones who don’t let drivers use their bathroom? Good luck moving your freight pal.